With her gorgeous, full, sometimes smoky, wicked voice, Danielle Nicol joins the line of famous predecessors like Bonnie Raid. Since she also has a jolting level of wild temperament, her appearance reminds of the incomparable Blues tube Janis Joplin. Her talent was already obvious at the tender age of 12 as a member of her family band Trampled Under Foot with her brothers Nick and Kris. Blues was their issue and in 2008 the band won the International Blues Challenge, followed in 2013 by their album "Badlands" awarded as "Contemporary Blues Album of the Year." After Trampled Under Foot disintegrated, Danielle Nicole emancipated herself as a singer and bassist recording her debut album "Wolf Den" in September of 2015. This pure blues album is now followed by the album Cry No More, in which Danielle Nicole presents songs in the style of Hill Country Blues, Rock and Pop and even Easy Listening Jazz in addition to pure blues. Also present in the band are the producer of the new album, Tony Braunagel on drums, recording engineer Johnny Lee Schell and Walter Traut on guitars, Mike Kelly Finnigan on the organ and Mike Sedovic on piano as well as background singers Maxanne Lewis and Kudisan Kai. In addition, there are a number of special guests, including her brother Nick Schnebelen on guitar on "Crawl", a rock-like blues à la Allman Brothers in memory of the past few days with Trampled Under Foot. Tamara Chamin's song "Crawl" is one of five cover songs on Cry No More. "Hot Spell" written by Bill Withers in the 70s experiences on this album its first recording. "Poison The Wall” was written by Maia Sharp, who also wrote songs for Bonnie Raid, among others. Prince is responsible for "How Come U Do Not Call Me Anymore." Blind Willie Johnson "Lord I Just Cannot Help From Crying" completes the five cover versions, which skillfully presents by Danielle Nicole and her backing musicians and delivered in a highly professional manner. 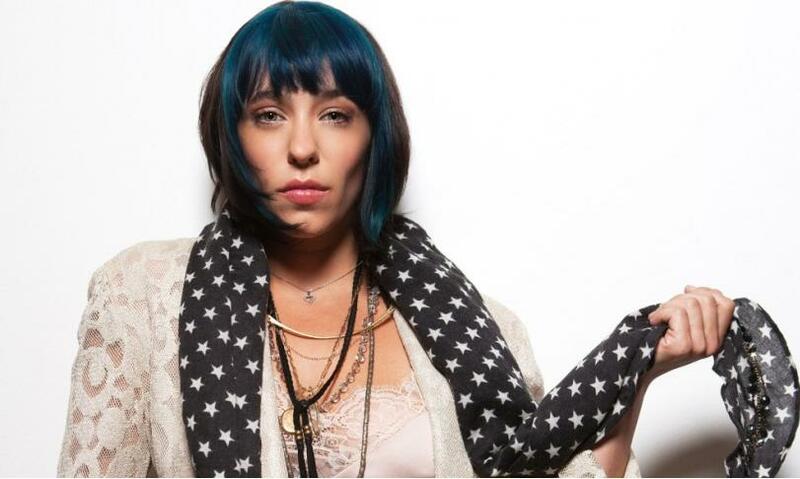 Nine songs on Cry No More are by Danielle Nicole herself or in cooperation with band members and musical friends. From these consistently superbly designed and executed songs, the emotionally charged song "Bobby" by Danielle Nicole proves to be a pearl that has the potential to become a hit. Of the remaining songs on the album, "Bobby" is reminiscent of the deceased father of the singer with its restrained gait and breathtakingly beautiful melody. "I'm Going Home is one of the five songs co-written with Tony Braunagel and" Pusher Man "was co-written with John Lardieri. Janis Joplin who tragically died too early would certainly be proud that her grandson generation has such a formidable artist as Danielle Nicol, who is not as wild as she was, who had lived in truly savage times, but who is still quite wild for the nowadays comparatively behaved time, and who is able to play and sing in a convincingly independent and emotionally touching manner.